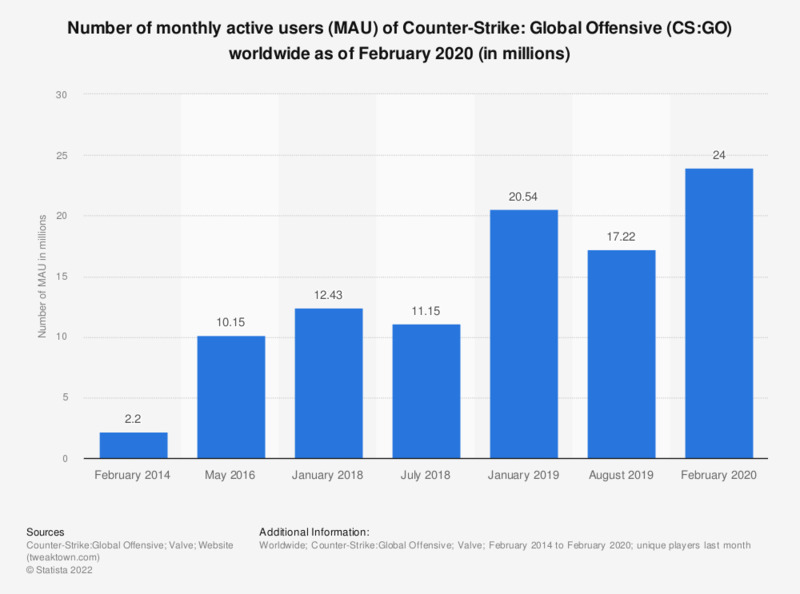 The statistic presents the number of monthly active users of Counter-Strike: Global Offensive (CS:GO) worldwide as of January 2019. According to the latest figures from January 2019, CS:GO had more than 20.5 million MAU. Statistics on "Counter-Strike: Global Offensive"